I’ve just finished reading the highly enjoyable ‘Baker Street Beat’ by Dan Andriacco. It contains a chapter entitled ‘Writing the Holmes pastiche’ and this got me thinking about how very different my own novel became from the accepted formula. People often ask me what inspired me to write Barefoot and I think perhaps that was part of it, wanting to break conventions, to take something everyone has pre-conceived ideas about and tear up the rules. Andriacco’s own short pastiche contained within Baker Street Beat is a perfect example of what you are meant to do, and it really does read as if someone has found Watson’s despatch box at Cox and Co bank and pulled out a hitherto unseen story penned by the good doctor himself. It really is very good and captures the voice of Watson perfectly. It contains all the elements of a fine Holmes pastiche – references to unheard of cases, the reliable voice of Watson narrating the story, Holmes at his microscope, the client enters etc, Holmes deduces things about him, the case is laid out and adventure begins. The police get it wrong, Holmes gets it right and Watson stays a step behind. It’s a lesson in Holmes pastiche from a skilful writer and genuine fan. So why didn’t I do this? It’s not that I didn’t know how, I’ve been reading the canon for years and know exactly how the stories are put together. I can hear Watson’s reassuring voice in my head and could have made a reasonable fist of re-creating it. So why didn’t I? Well, my story is in the form of a memoir written by a strong, feisty and streetwise female – not a middle-aged, middle-class Victorian doctor. Her take on the world is very different to how he would see it and her descriptions of the poverty in London, the workhouse, the moral ambiguities, the invisibility of women are things which Watson could never understand let alone write about. 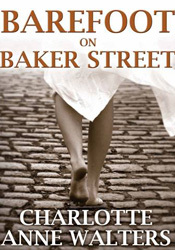 She sees Holmes differently too, a fresh interpretation of a character we all think we know. She holds centre-stage, it is her story and through her eyes we get a new take on Holmes, Watson, Moriarty and Mycroft. But also on London, on a period in history which saw great change from the years of her childhood to her eventual maturity. Her own coming of age story encapsulates the changes of the epoch – the drift from rural to urban, the lack of opportunities and abuse of the poor, to the rise of the middle classes and the potential to ‘make something of yourself’ through business and enterprise. Also the slow and painful emergence of increasing rights for women. A conventional Holmes pastiche couldn’t explore these issues and for me, it didn’t seem right to write a novel set in Victorian times without looking at the social context – and not just paint a nostalgic picture of ‘the good old days’. The formula felt too restrictive, I wanted to innovate rather than imitate because, sometimes, it’s when you break convention that the magic really happens. However, I don’t break all the rules Andriacco suggests – Barefoot is descriptive, full of period detail, pays attention to minor characters from the canon and displays detailed canonical knowledge. I delve deep into the minds of Holmes and Moriarty particularly and really enjoyed getting into their head-space. But is Barefoot really a pastiche? Well, why label it? Does it matter? Maybe it is, maybe not. Let’s just say it’s simply a novel and leave it at that. This entry was posted in MX Publishing, Sherlock Holmes. Bookmark the permalink. 2 Responses to When is a Sherlock Holmes pastiche not a pastiche? Right. Just because what you are doing is NOT a pastiche (and I agree that it is not) does not mean it is not worthwhile. We need to come up with a new way to talk about stories about Sherlock Holmes but are not narrated by Watson, have a central fantasy or sci-fi theme, come from the point of view of one of Doyle’s supporting cast, etc. The category I give is “Sherlock Holmes related fiction”. When I describe my interest, I tell people that I read and collect Sherlock Holmes scholarship, pastiche, parody, and related fiction. 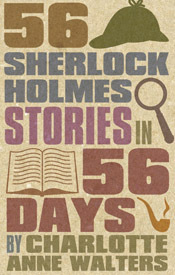 I also include in this fiction featuring Arthur Conan Doyle as well.